The Hawaiian Chieftains had an emblem of royalty that was made from a pole; at the top, bird feathers were attached to form a cylindrical shaped head. These emblems were called kahilis, and wherever the chief went, this symbol would announce his presence and his rank. 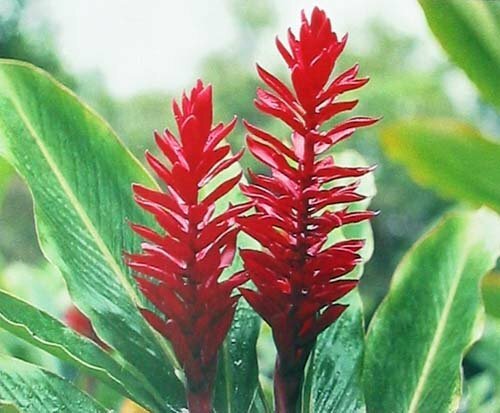 My cylindrically shaped cone with yellow flowers and bright red filaments resembles the chieftains kahilis; it is quite logical that I have been named Kahili ginger. Like my cousins the white and yellow gingers, I have a very pleasing fragrance. Being a native of the Himalayas, I have the ability to grow at altitudes of up to 8000 feet and endure considerable cold. 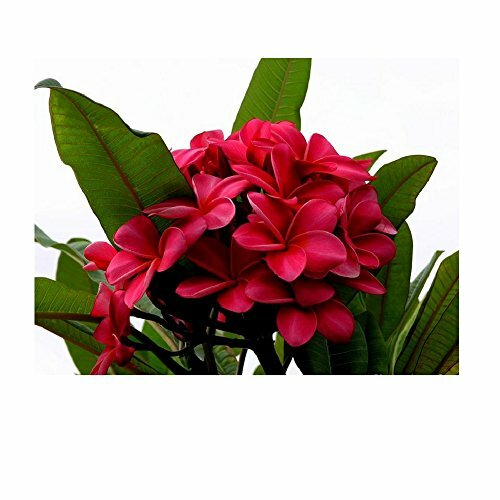 GROW HAWAII- HAWAIIAN PINK PLUMERIA PLANT CUTTING. 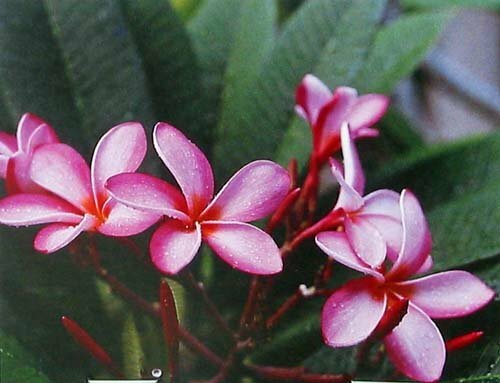 Pua Melia is what I'm called in Hawaiian, but Plumeria is my botanical name. My popularity among the islanders speaks for itself. It's you though, the visitor, who have made me a very popular lei flower. This is because of my delicate fragrance and the fact that I'm long lasting as a lei. 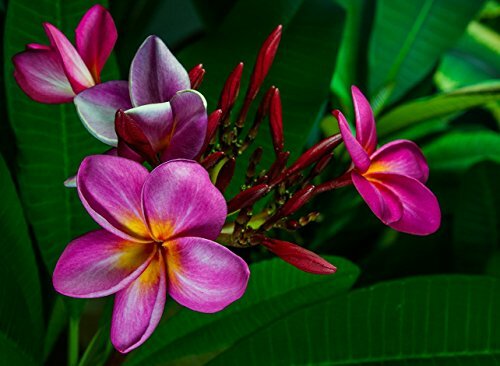 Balmy nights, moonlit beaches and Plumeria flowers; this is Hawaii! At one time I was quite abundant in Hawaii, but now I'm seen less and less. My foliage is slender, erect reedlike, and I grow and grow just like bamboo, up to 5 feet tall. 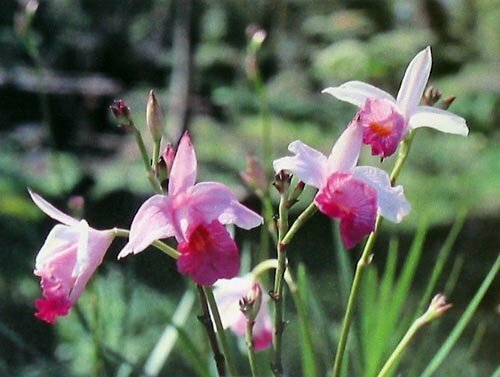 I suppose that's why I'm called Bamboo Orchid. I look like a miniature Cattleya Orchid. I'm lavender with a yellow-throated, purple-violet spurless lip. 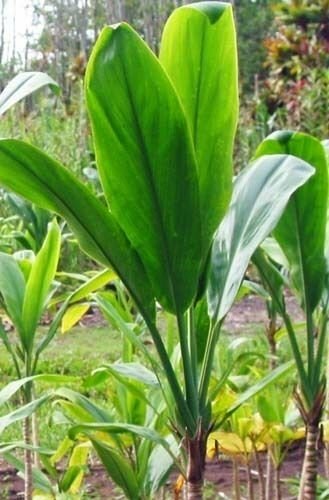 Hawaiian Green Ti Plant 2 Logs Cordyline terminalis Hawaiian Green Ti Plant Grow Hawaii I served a very useful purpose in the lives of the Hawaiians. They used my leaves to make whistles, house thatch, raincoats, sandals, plates and wrappers for food. They even distilled my root to produce a high-grade brandy called Okoehao. Today, I'm used to make Hula skirts, in flower arrangements, and my green leaves are still used to impart special flavor to foods when wrapped and steamed. Amazing you say! Yes, I'm amazingly useful. GROWING INSTRUCTIONS: Trim wax from ends. Place cutting horizontally in a dish of water covering cutting halfway. Change water once a week until roots sprout. When roots are 2 inches long, transplant in pot with good drainage in sandy soil or other commercial media. Keep soil moist at all times. This is the official Hawaiian lei flower. This is a set of four (4) mixed cuttings. 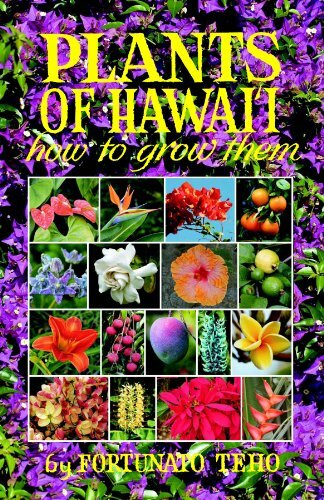 The set includes one each of `Ula`ula (oo lah oo lah) Red, `Akala (ah kah lah) Pink, Ke`oke`o (keh oh keh oh) White and Melemele (meh lay meh lay) Yellow cuttings. They are cut from fragrant mature trees. 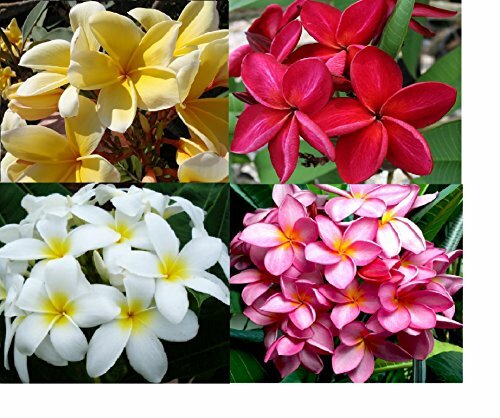 Plumeria plants are hardy and don't require a lot of care. Growing instructions: Place 1 to 3 inches of gravel or stones on bottom for good drainage. Successful plumeria require good drainage. Use a media of equal parts of top soil and sand, or fine gravel. Place in open sunny area. Water until soaked and dry out before watering again. Give small amount of general fertilizer once a month. Plumeria goes dormant in the winter and comes back in the spring. 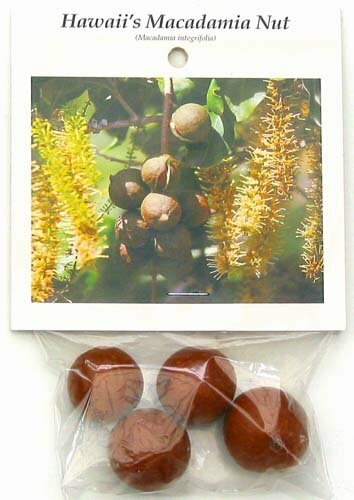 May be planted in a pot or in the ground. These cuttings come from a certified Hawaiian nursery and have the proper Department of Agriculture stamp. You can accept them with confidence that they are pest-free and approved for export to the U.S. This is an authentic Hawaiian product. I'm known in Hawaiian as 'Awapuhi - Ula'Ula. The flower industry seeks me out for cut flower arrangements. They have come to realize my beauty as I'm an upright head of rich, crimson, and my leaves are a deep green. I, as well as my leaves, add striking color to a bouquet. If my floral head is allowed to mature, plantlets will eventually appear. In this way, I propagate myself. You no doubt have enjoyed me dipped in chocolate or roasted and salted, but I can also be eaten raw. I'm a good source of vitamin B1, calcium, phosphorous and iron. My tree has shiny green holly-like foliage and makes an attractive shade tree. Due to my delicate flavor, I'm fast becoming a worldwide favorite. Copyright © Wholesalion.com 2019 - The Best Prices On Plants Grow Hawaii Online.